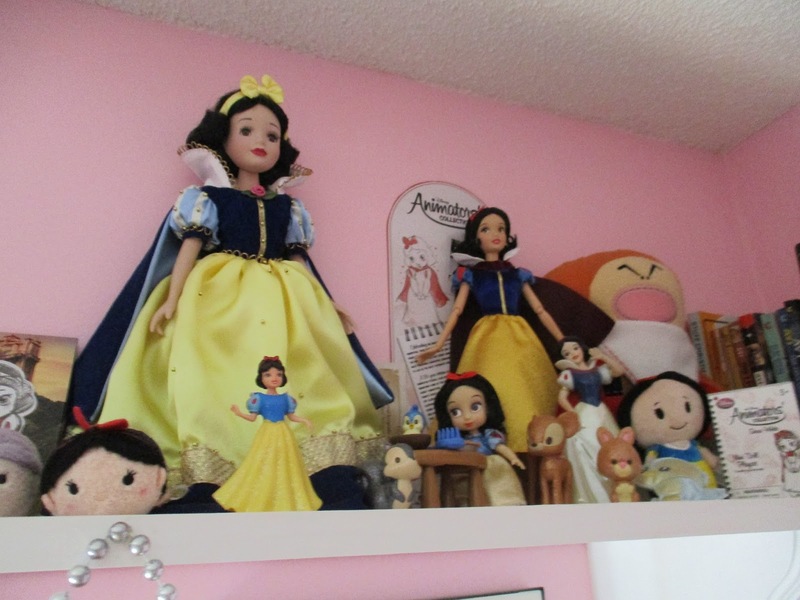 As a HUGE Disnerd, I love to display my fandom however I can! In public, I Disneybound or wear Disney t-shirts. However, I like to be surrounded by the things I love! 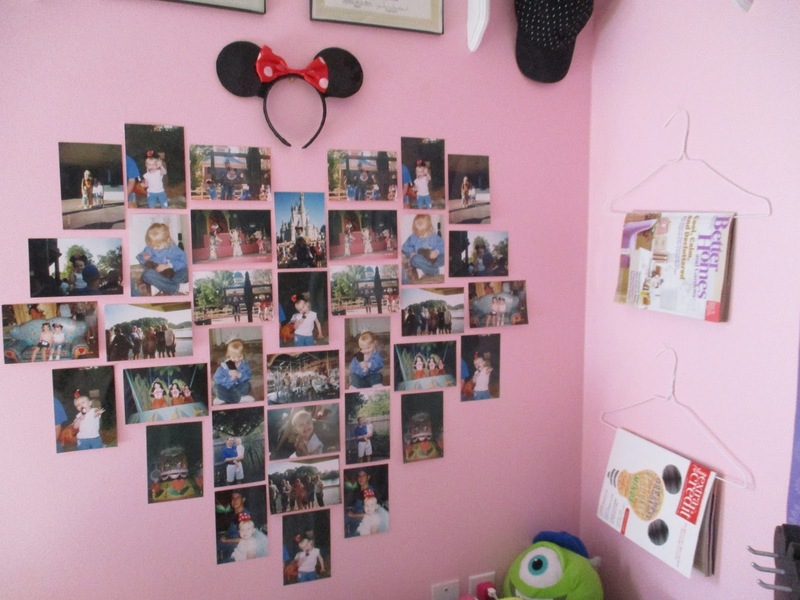 I'm going to show you a few ways that I bring some Disney magic to my room. 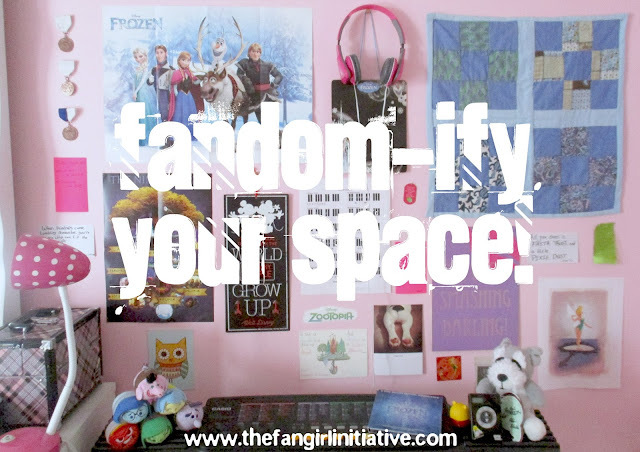 You can use these tips with any fandom! Snow White is my favorite Disney princess, so I like to display my Snow White collection on my shelf! You can display any kind of collection: Pop! vinyl figures, books, or cosplay props. 2. Make a photo collage. I've made a collage with pictures from the first time I went to Disney World. You can use any assortment of pictures from any event, such as a trip to a theme park, a convention, or a movie premiere! You can also find ideas online for different collage shapes. Most of my room is very flamboyantly Disney-fied, but if you don't have a lot of merch or if you're decorating a work desk and want to still look professional, you can place a small toy or a framed quote in a corner. 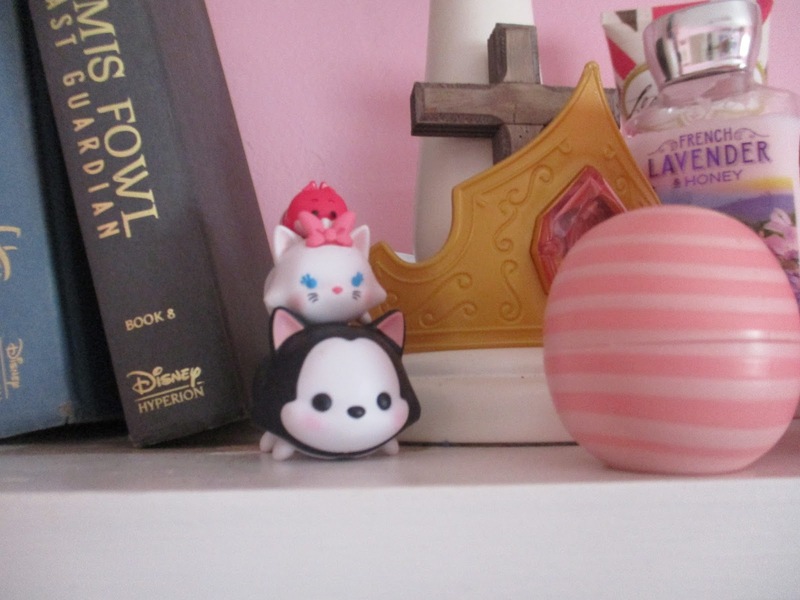 This is a stack of Tsum Tsum figures that I have on my nightstand. 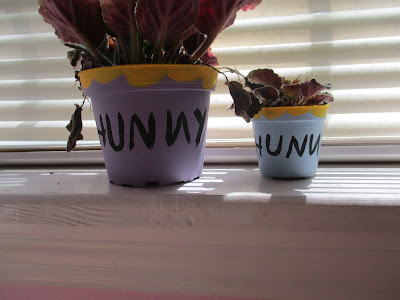 If you don't want buy stuff for your room, you can make something yourself! These Winnie the Pooh inspired hunny pots took me about 30 minutes to make (minus drying time) and they're so cute on my windowsill. All I did was paint the flower pots. Try searching "[your fandom] inspired diy" on Google, Pinterest, or YouTube for inspiration! Woah, your photo collage is really cool! *is mildly impressed because she doesn't have the kind of coordination to make it turn out as an actual shape like that* Also, I definitely would agree that making your own stuff can be super fun and awesome! :D I do it myself all the time!